I'm Here. I'm Queer. What the Hell do I read? 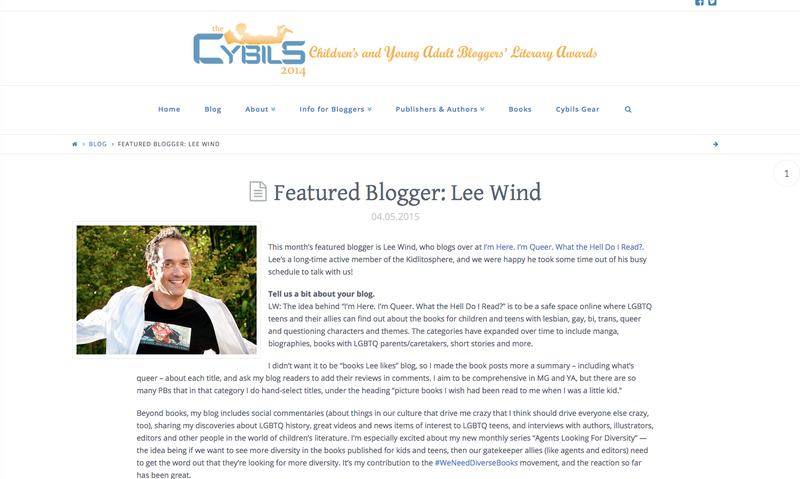 : I'm the Cybils Featured Blogger for April! Check out the interview with me here, at the Cybils blog. My thanks to Melissa Fox and the whole Cybils team for the opportunity!